"Loved my Prom makeup! First time getting my makeup professionally done and she nailed it. I trusted her and her work and she went above and beyond of what i could have hoped for. She took special care of my sensitive skin as well and used great products that lasted the entire night without any touch ups! Huge Thanks to Rachel for helping make my prom night unforgettable!" 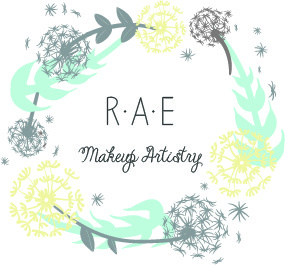 "Rachel is a talented, visionary, professional for makeup services! I have had the pleasure of working with her on many occasions - Motherhood photo sessions, family mini sessions, and editorial shoots for internationally published magazines and her work has been stellar every time. She always makes the ladies she works with feel beautiful, and has a sweet personality that lends itself to easy conversation. We are proud to consider her part of our #lvstribe and look forward to continuing our working relationship in the future! You will be so pleased if you work with her." "Rachel is an amazing make-up artist! You can put your trust in her to make you look stunning. She not only a top-notch professional, but she is an amazing person as well. You instantly feel like you could be best friends, and she is such a joy to work with. The confidence I have seen my clients walk away with after leaving her chair is phenomenal. My clients come to their sessions giddy with self-love and ready to work the camera! I can not wait to work with Rachel again"
-Arika Shelest, Arika Jordan Photography.